For orders of 49 and more please contact us for wholesale pricing and shipping. 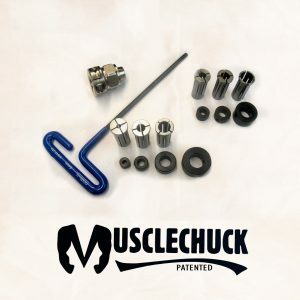 Certiﬁcations: (1) all materials and processes are certiﬁed to aircraft standards and are available upon request; and (2) each Musclechuck™ assembly is measured and tested for compliance. Specials or Modiﬁcations: If your router model is not listed on our site, please contact us for modiﬁcations/custom orders. 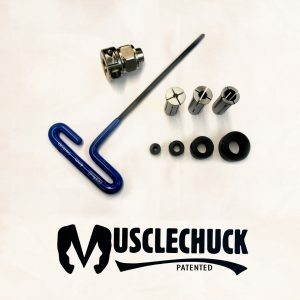 Disclaimer: Power tools and their accessories, such as the “Musclechuck™” assembly, should only be used for their intended purpose by users experienced in their operation. Careless handling or misuse may result in serious injury or death. 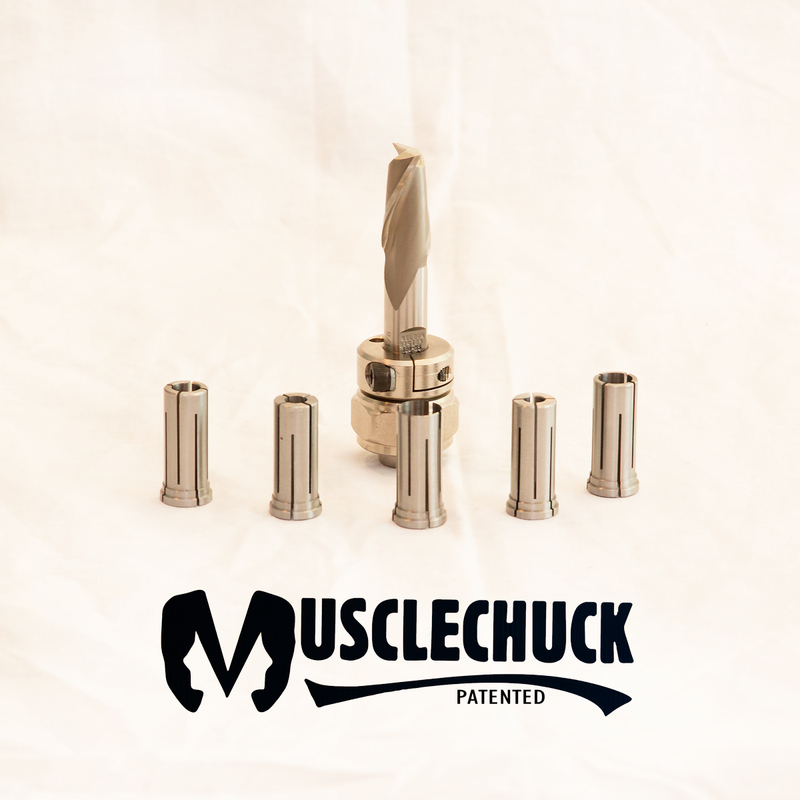 Failure to follow the enclosed directions is a misuse of the “Musclechuck™” assembly. The user must always make sure that the cutter is secure in the chuck, especially when a reduction collet is being used BEFORE turning on the router. 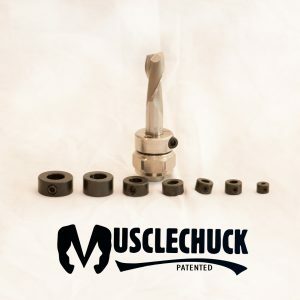 I have used and abused the Musclechuck™ for the better part of 12 months now and used them in all the routers they make one for. It is sorely missed when I have to use a router without a Musclechuck™. If one were to be lost or stolen it would promptly be replaced. I do keep extras in case one fails which has not happened in the 12 months I have tested the chuck. I have been making and designing furniture for 40 years. Shapers and routers have been part of that process but their use frequently led to less than perfect results. 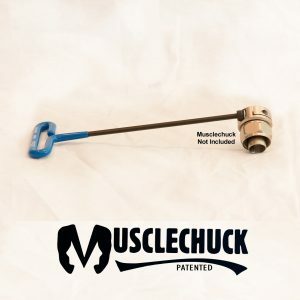 Chatter marks and tear out from the vibration of the motors was something that I thought had to be accepted until I had the opportunity to install, tune and use the Muscelchuck. The ease of installation was only exceeded by the product that it produced. It's operation has significantly improved the use of the router in production and eliminated time consuming touch-ups. It has been a valuable addition to my shop.